Being a responsible law firm, it’s completely alright to have such stressing perception. After all, data security is a must for building a healthy relationship with clients. So, What Should be the Next Step? 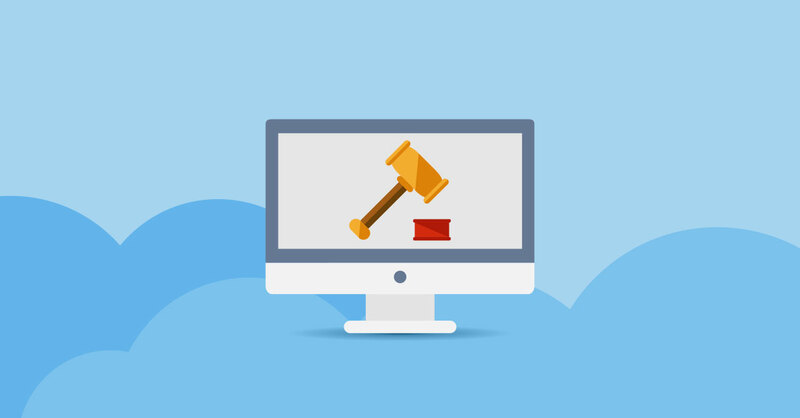 Investing in a cloud-based legal ERP software should be your next move. An ERP integrated legal management software offers a wide range of benefits when it comes to the productivity of legal professionals and fosters the growth of legal organization within a short span of time. It can help simplify your day-to-day activities such as arranging appointments, keeping a track of judgments, client’s information, the recent status of clients, hearings, generating invoices and so on. If you’re looking for an affordable yet effective solution, we recommend you opt for iRujul-LMS which is one of the most trustworthy cloud-based Legal ERP Software. Now, you may ask how it maintains the data and keeps it secure? Let’s be clear on this. The development team of iRujul-LMS understands your concerns. They have researched a lot and spoken to the top law firms regarding the complications they face and what they expect out of an ERP software. Therefore, they have implemented the reliable Amazon Web Services (AWS). It gives you the provision to keep a tab on your everyday tasks remotely. Whether you work from the organization or from another location, you will be able to see what exactly is going on in your department. Furthermore, you have the right to control or provide a limited access to various professionals that implies there’s no chance of data breaching. Being non-technical professionals, managing a software comes across as a tough nut to crack. Sometimes, legal professionals get stuck due to the complexities of software they use. With iRujul-LMS your team won’t face any trouble while handling crucial operations. It is an extremely user-friendly legal management software. All things considered, costing of the software is also a problem, especially for small and mid-sized law organizations. To your surprise, this software is quite affordable. In a nutshell, using iRujul-LMS is the best way to promote high productivity and scale up your law firm.